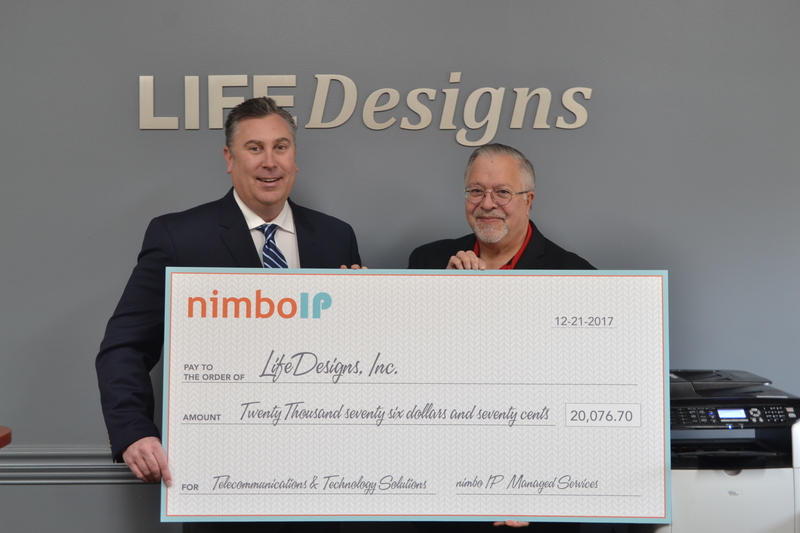 FOR IMMEDIATE RELEASE: LIFEDesigns receives $20,076 donation from nimboIP to upgrade technology equipment. nimboIP a business to business Managed Service Provider of telecommunications and information technology solutions with a history of serving companies in Indiana since 1989 made an in-kind donation to LIFEDesigns early this year of equipment and labor to install a new business phone system. LIFEDesigns is a human services non-profit organization in Bloomington, IN providing staffing and support services to people with disabilities across several counties. nimboIP’s business owners have a commitment to support the communities they are a part of. Their headquarters are in Indianapolis with offices in Bloomington, and Schereville, IN. Recently, it came time for LIFEDesigns to upgrade the technology equipment, and in line with their mission to make it simple and affordable for their customers to do business with nimboIP while mitigating risk and adopting new technologies, the owners decided to donate all of their time, material and equipment to upgrade and consolidate LIFEDesigns phone system for a total value of $20,076. Their decision was also based on their desire to help support LIFEDesigns outreach to people who have a need for disability supports and services. 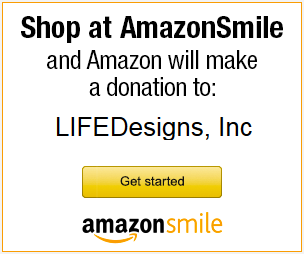 Please help LIFEDesigns extend our greatest thanks to nimboIP in supporting our mission and programs. About LIFEDesigns: LIFEDesigns believes that everyone deserves a home, job among their peers, and access to the community they live in. Everyone has abilities and deserves the opportunity to be valued for their contributions. Everyone deserves the opportunity to meet and make friends and to live in a divers and welcoming community. The agency exists to provide the support and opportunities that people with disabilities need to achieve their goals. LIFEDesigns is a United Way Member Agency in Bartholomew and Monroe Counties. About nimboIP: Our unique Business Class voice platform allows companies to integrate their office telephone system with mobile employees, multiple locations, and meets the demands of a 24/7/365 workforce. Our 100% performance guarantee, 90 day trial period, no equipment to purchase and no contracts to sign simplify the buying journey. Our support is always live, and local. Services offered include Managed Voice, Microsoft Business 365, Video Conferencing, Video Surveillance, Network Designs and Management, Disaster Recovery, Network Procurement, and more. Visit www.nimboip.com or call us for anything at (800) 293-2127.